Rafa Benitez has almost become the next Real Madrid manager after arriving at the Spanish capital just 24 hours after the last game of the season for Napoli. Benitez’ time at Napoli has ended in a disappointing way after the 4-2 loss against Lazio sees them finish outside the Champions League spots. However, the Spaniard may not have much regrets about his time in Italian football, as he would be very much looking forward to managing the 10 time European champions. Benitez had been the number one choice to replace Carlo Ancelotti, whose future appeared to be decided immediately after the Champions League exit at the hands of Juventus. It remains to be seen if the former Liverpool boss will suit the style of play at Madrid. 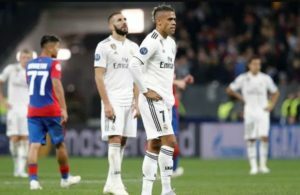 The club supporters demand attractive style of football whereas Benitez is often pragmatic and concentrates on the result more than the performance. Madrid have scored goals for fun in recent years, but they have not had the defensive stability that is required to win league titles. This could arrive once Benitez starts coaching a team. 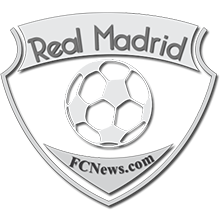 The 55-year-old is someone who knows Madrid extremely well after having spent a large portion of his playing career at the club. Even though he was never good enough to represent the first-team, Benitez played in more than 250 matches for the B team. He has won Spanish league title to his name of the leading Valencia, at a time when Madrid and Barcelona still reigned supreme. It was not just a single league title, but he won it twice in the space of three seasons. It will be the kind of quality that he will look to replicate in Madrid team that has several egos to deal with.